I can't wait for Thanksgiving!!!! Our friends Dave & Sharon will be driving up from the beach to join us. I'm going to get out my holiday decorations next week, which I always look forward to. 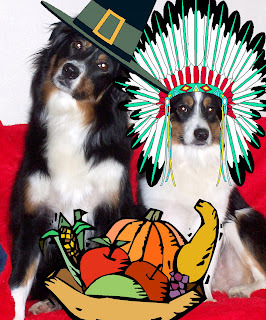 With that being said, I hope you like Ozzy & Lita's Thanksgiving picture. 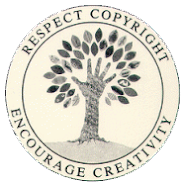 It's my current Etsy avatar and then I have another one ready for Christmas. I think Lita makes a precious little squaw ~ don't you! Yesterday was such a gorgeous day! 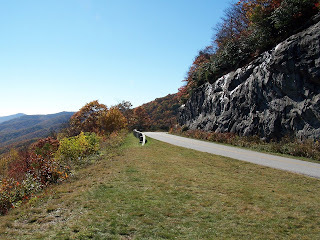 We took an afternoon drive up the Blueridge parkway to see all of the leaf colors and such. The sky was so blue ~ it was amazing. I have lots more pictures on "Flickr" if you want to check them out. 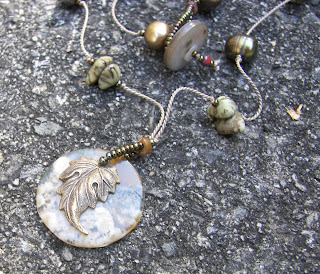 This is a new necklace I made yesterday, inspired by the forest ~ it's just so fallish. I named it "Forest Floor" ~ very appropriate, I think. Hope you are having a wonderful week! I'm off to do some more unpacking & throwing away. I feel like that's all I've done for the last 2 years. I'll be sooooo happy when it's all finished!